Shades of Green is a special destination for special occasions of every variety. It’s a quiet respite from the action-packed atmosphere just steps away at the world-class theme parks. See more about the configurations at Shades of Green. 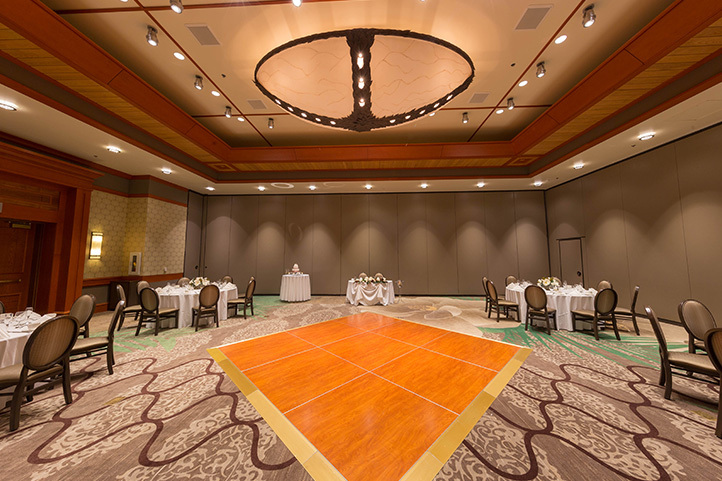 The centerpiece of all of our function spaces at Shades of Green, the Magnolia Ballroom is a massive 7,500 square feet. Bright, elegant and well-appointed, it’s capable of dividing into many different kinds of configurations. It also has versatile pre-function spaces on either side and along the main room, giving you even more choices. 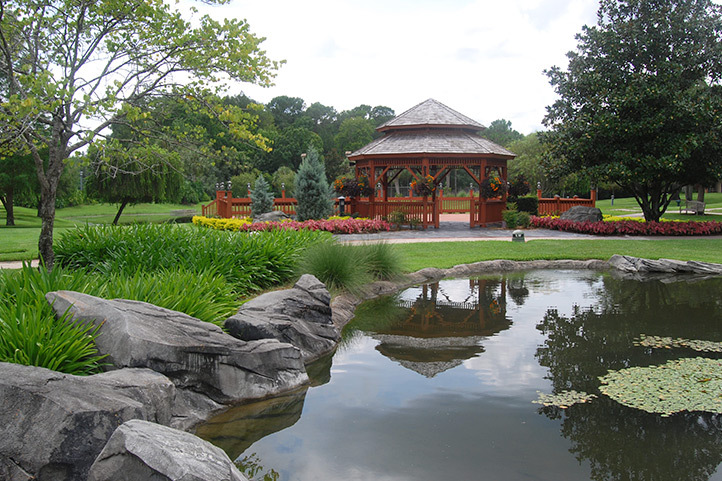 Surrounded with lush green manicured landscapes, stately trees, ponds and natural beauty, Shades of Green already makes a picturesque backdrop for an outdoor event. 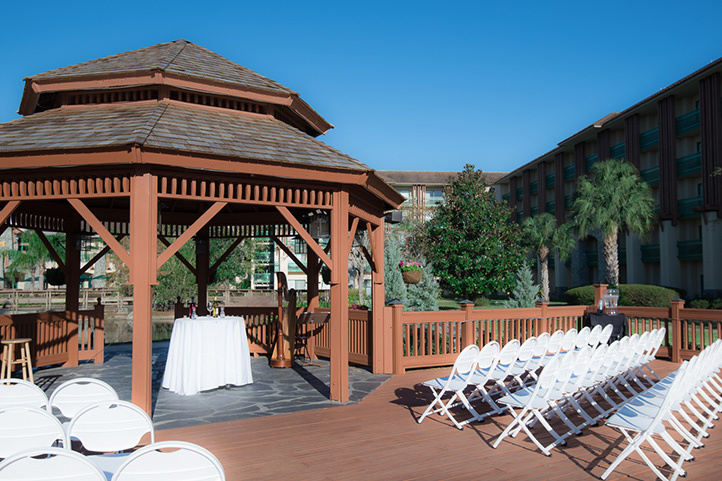 Our gazebo and garden area make outdoor events extra special. 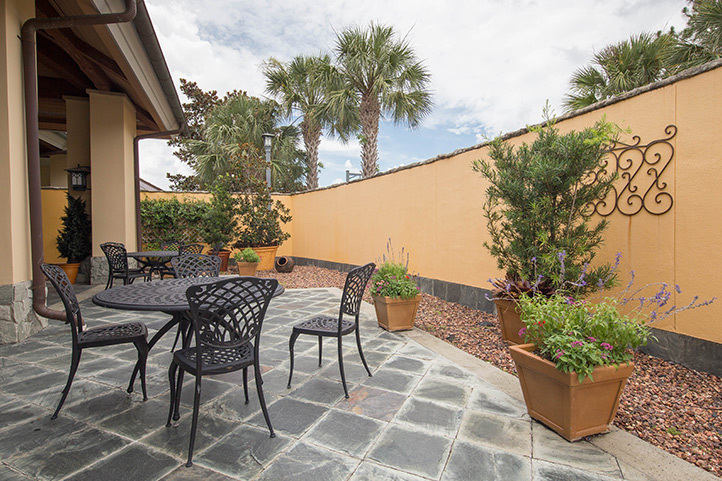 A magical space that’s set apart from the Magnolia Ballroom, the Magnolia Patio is perfect for more intimate gatherings. It’s a great way to enjoy some of the outdoors without going completely outside, because you’re still covered overhead. A charming fountain and detailed tiles add to the charm. 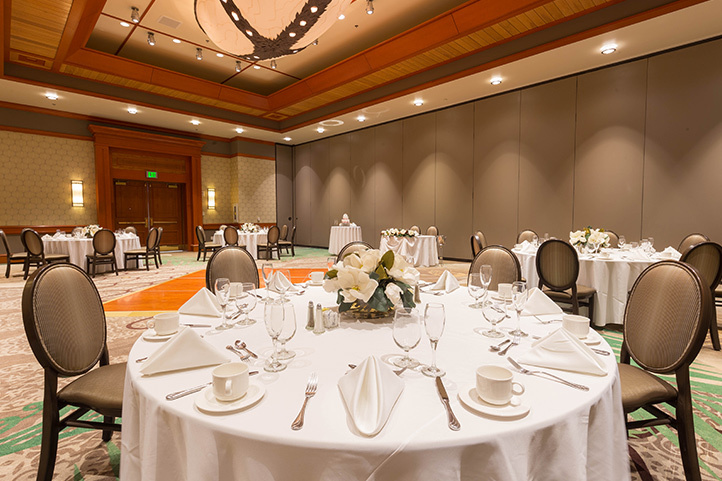 On either side of the main Magnolia Ballroom, you’ll find dedicated pre-function space that lets you be very creative with your groups and gatherings. Use them for spreads of coffees and refreshments, sign-in areas or cocktail reception spaces. They’re all stately, airy and spacious. Palm Pre-function: 2,400 sq. ft.
Magnolia Pre-function: 960 sq. ft.
Oak Pre-function: 800 sq. ft.
With 940 sq. ft., the Eagles Boardroom is big enough to conduct a briefing, but not so big that you’ll drown out the information. 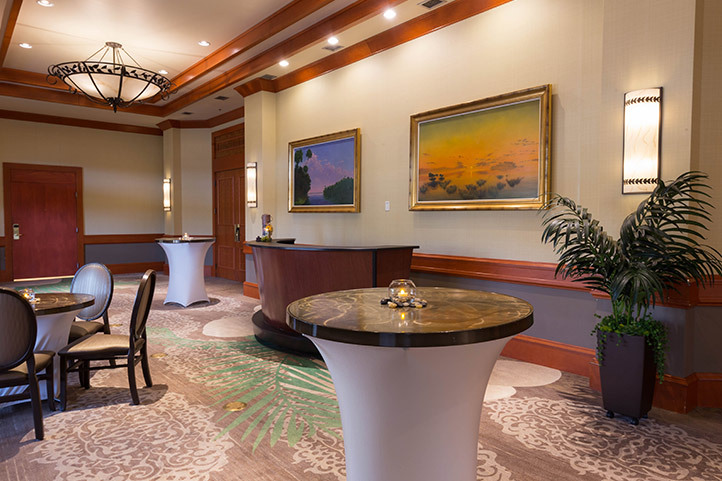 Located in the Palm Wing on the fourth floor, the Eagles Boardroom is in a dedicated space that is set apart from the ballroom areas. 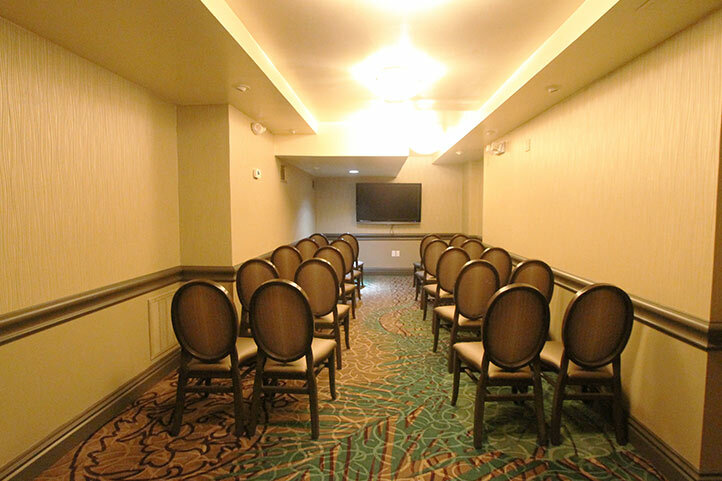 It’s perfect for meetings, trainings and conferences. Shades of Green has five different Boardrooms that are perfect for meetings that require breakout sessions and working groups, as well as small gatherings. Boardroom 1 also has dedicated pre-function space, which is nice for refreshments and small receptions. 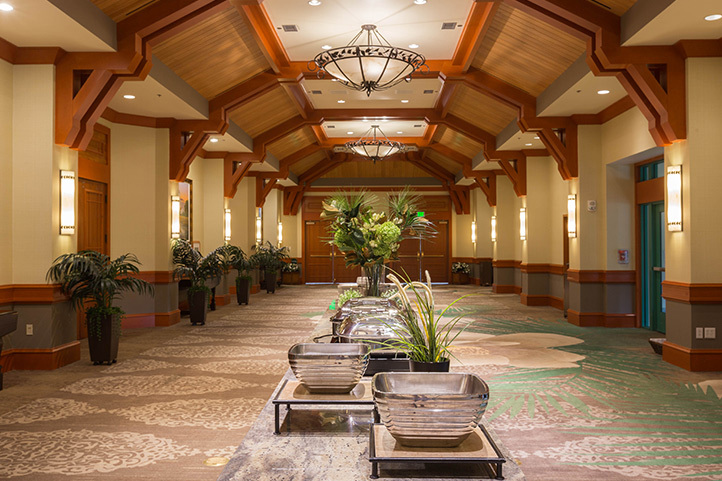 Located in the Palm Wing on the fifth floor, the Boardrooms are also set apart from the slightly more active main level and ballroom areas. 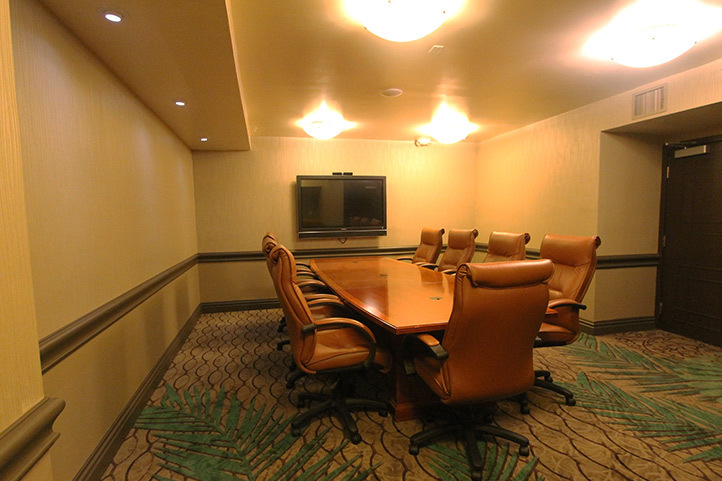 The Boardroom spaces offer maximum concentration. Boardroom #1: 940 sq. ft.
Boardroom #1 Pre-function: 470 sq. ft.
Boardroom #2: 425 sq. ft.
Boardroom #3: 364 sq. ft.
Boardroom #4: 364 sq. ft.
Boardroom #5: 364 sq. ft.